This was an interesting project. 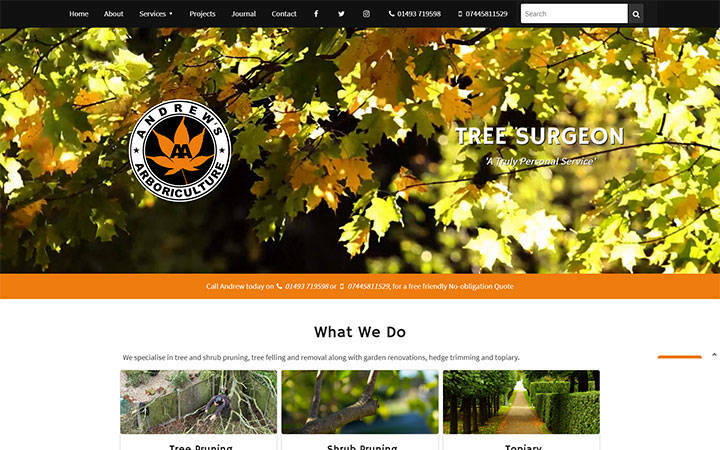 The client, a local tree surgeon already had a one page website built using Wordpress, which didn't appear to be doing a great deal for his business. It was decided that a move to Perch CMS would be ideal. The client already had a company logo, this was used as the base for the website theme. A multiple page website was built and launched and has now started to see more traffic than the original site.